Yes, Randy! 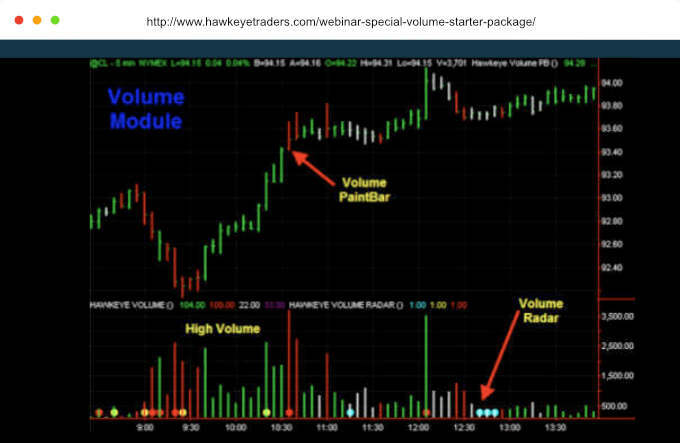 I’m excited to get my own copy of the Hawkeye Volume Starter Package and get started with volume-based analysis and trading.
. . . and the good news is that ALL of these are currently available for Tradestation, NinjaTrader, and MetaTrader 4. I’ll get to spend several hours every week with the Hawkeye team, and I will see real live charts on how to use Hawkeye volume-based trading principles across multiple markets including, Forex, stock indexes, stocks, commodities, etc.